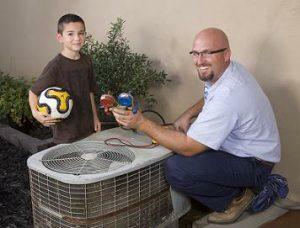 Your heating and air conditioning system is a significant investment. In order to keep your system’s efficiency and reliability high, it is important to have regular maintenance. Many manufacturer warranties require regular maintenance by licensed technicians. Our Bonney HVAC technicians are highly trained to perform both furnace tune-ups and air conditioning tune-ups to keep your system running at peak efficiency. Bonney can perform a one time furnace tune-up or sign up for our Bonney Automatic Maintenance (BAM) Membership for better value and continued service. With our BAM Membership you will receive 3 tune-ups (plumbing, heating & air conditioning), on all your systems no matter how many in your home for one low price, plus extra benefits. Click here to learn more about BAM. Give us a call this fall to schedule your furnace tune-up before the winter chills sets in.